What added value can give me a graphic study? The area of services related to the graphic includes all those solutions that provide the development of a coordinated brand image material, activities and projects. The graphic study may provide for example the creation of logos and other materials related to visual communication such as business cards, brochures and posters. These materials are used to create value and enhance the power of what you want to communicate to people. This type of production is usually the result of a creative process in which are merged the input from customers with the ideas and creativity of designers in order to get something engaging and effective. What kind of photos can be realized? 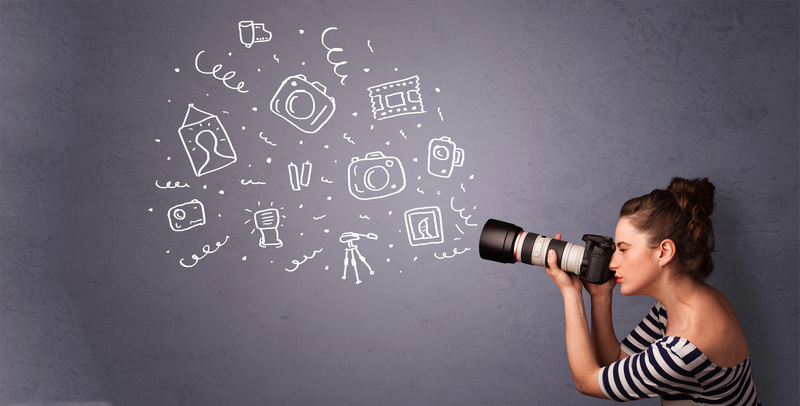 Photography is an artistic, expressive and effective communication media. His ability to capture moments instantly allows people to create different meanings within a single click. This tool can be used to represent products, places or events that need to be captured, and then be reviewed or re-used in other contexts (web sites, magazines, social). Through our expertise and our collaboration we can make photo-related services to represent different kinds of occasions and share the result on different media types and purposes. How can be useful the production of a video? Video production is an additional service that we can offer covering a wide range of areas in which this development can be useful. It can help making a difference and becoming an important tool through which convey messages of different types in a dynamic and engaging way. This realition can be made to create products both in business or private contexts as a support of the communication or for the recording of particular events. Can be used various techniques and languages, such as the traditional or more innovative techniques such as video 360. The video creation is not a simple process because is not only take a recording, but it requires a mix of rationality and creativity with the aim to combine the importance of both story and direction.